Earlier today, AKB48 held its 8th Senbatsu Election at HARD OFF ECO Stadium Niigata in Niigata City. 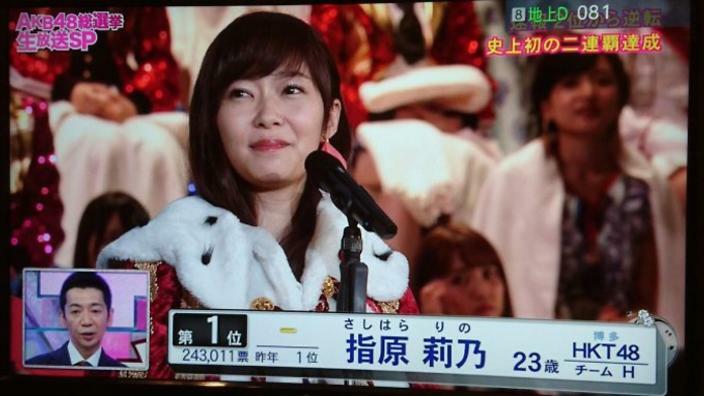 Rino Sashihara of HKT48’s Team H won with 243,011 votes. She retained the top spot from last year and bested her vote total from last year, 194,049 votes. See the full results below!